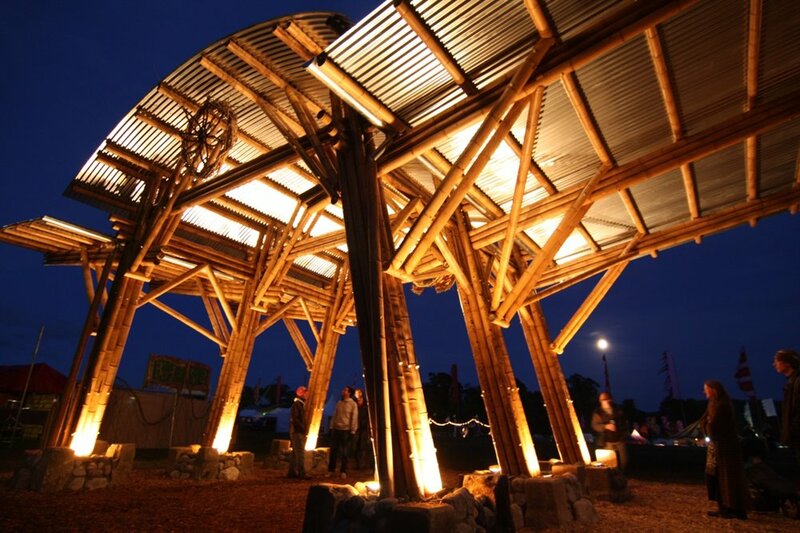 We design and build big, beautiful spaces with Bamboo. 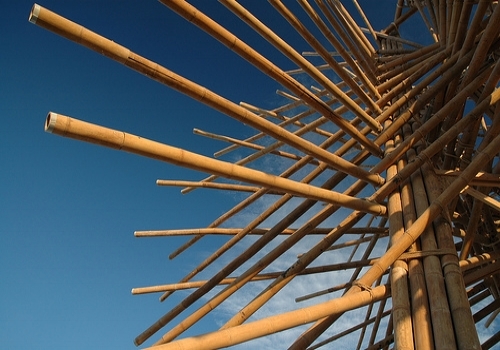 Bamboo DNA specializes in the design, construction, and installation of bamboo structures and environments. Nothing matters more in the event world than being on time. 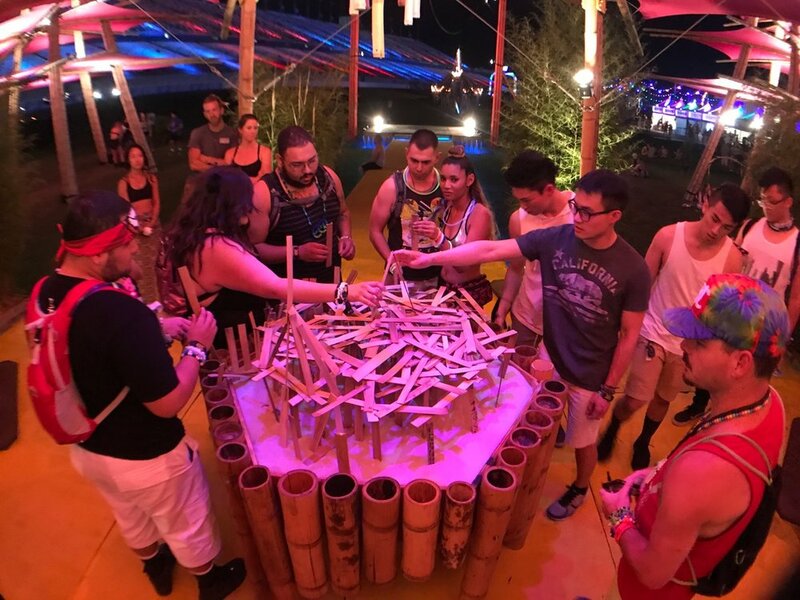 Bamboo DNA excels in creating unique and structurally rigourous environments for event producers, private commissioners and non-profit entities around the world. Whether it’s an entire musical stage environment or a prefabricated and collapsible mobile kiosk, our knowledge of both event logistics and product design consistently deliver the best solutions to demanding times. We transform the world's most gigantic grass species into massive works of artistic construction. Believe it when you see it: Nature's most perfectly engineered materials don't need artificial enhancements. We love the sound of jaws dropping on the floor when they enter our spaces. You will, too! 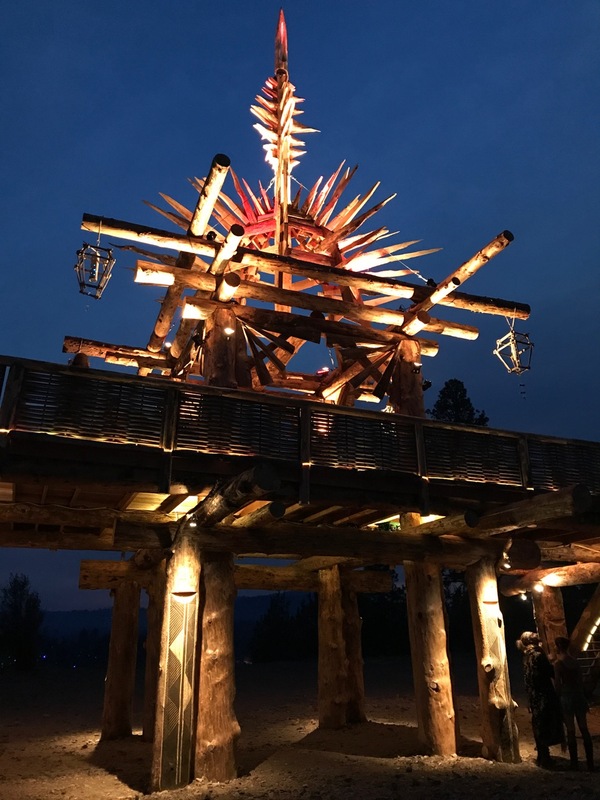 From massive music stages to aerial performers to sturdy wind-resistant shade structures, our work is testimony to the seamless marriage between art, engineering, and human interaction. Mnemosyne is the Greek goddess of Remembrance. We created a temple-like atmosphere using four massive "Pagodas" to frame the space, with torii gates marking each entrance in the cruciform layout. In the middle was a sandbox full of bamboo splits where the public could create their own mini-sculptures and record their awesome memories! From a planet far, far away, Orbweaver is the first of several alien "bugaboos" that crash-landed on Earth many years ago. They are searching for the source of imagination and have thus discovered humanity and our natural world for inspiration! This giant extraterrestrial modelled himself after the real world Golden Silk Orbweaver spider and showed off his long legs at the Natural History Museum of LA County. 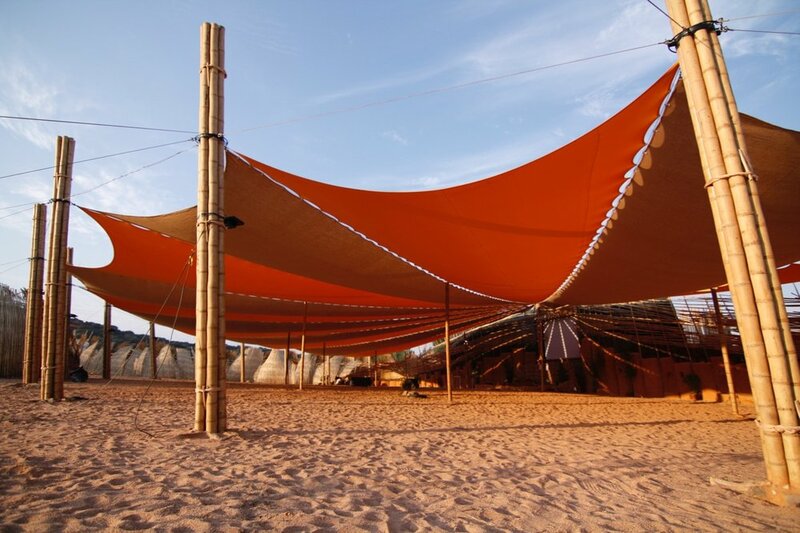 8000 bamboo splits were woven into an undulating, tunnel-like art gallery for the BOOM festival in Portugal. Each of the 20' x 20' woven panels were handwoven by a team and then floated into long trenches. The trenches were backfilled, the panels were pulled towards each other with a hilarious combination of harnesses, running and "surfing"... and then we filled in all the overhead space with art, shade fabric, and other goodies. 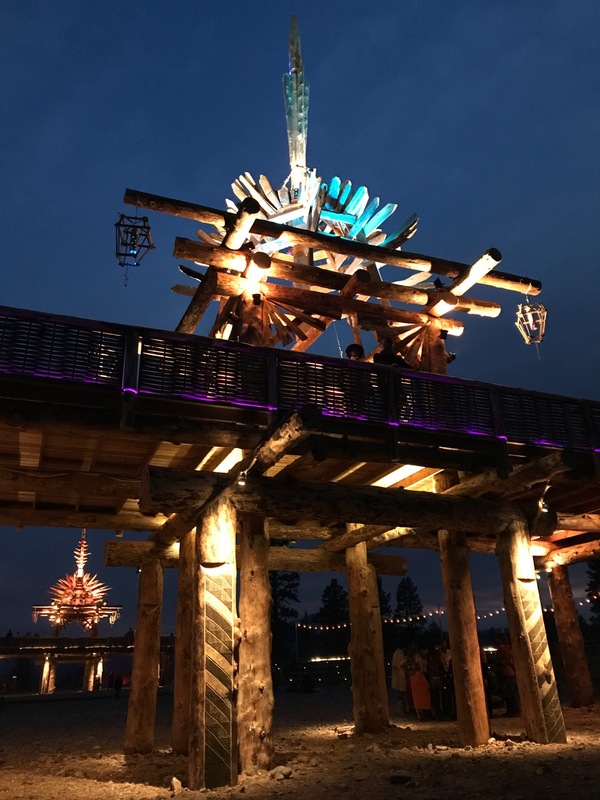 The Electric Picnic Festival, in partnership with the landowner's estate in Ireland, commissioned us to create a this bamboo, stone and steel gateway as a permanent addition to the venue. Completed over the course of three weeks, the structure features old reclaimed hand-hewn stone from the estate's walls, guadua bamboo from Colombia, and a corrugated steel roof. There's nothing we enjoy more than creating permanent spaces that the public can enjoy... so this chance to create a "Solar Temple", from which a total eclipse of the sun would be viewed in 2017, was a dream opportunity! Oriented along the rough West-to-East path of the eclipse, the amphitheatre also featured a "Big Brother" western gateway and "Little Sister" eastern gateway with second-floor decks that the public could access. Most of the material was Ponderosa Pine harvested from the land and shaped with chainsaws... keeping it simple. Woven Timor Black and G. apus bamboo panels formed the safety railings wrapping the entirety of both gateways.